Homicides in Mexico rose by 16% in the first half of 2018, as the country again broke its own records for violence. The interior department said there were 15,973 homicides in the first six months of the year, compared with 13,751 killings in the same period in 2017. The number is the highest since comparable records began being kept. At current levels, the national homicide rate of 22 per 100,000 population are near the levels of Brazil and Colombia. The northern border state of Baja California showed a big jump in murder rates. 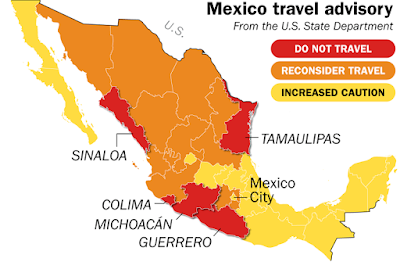 Home to Tijuana, Baja California saw a 44% increase. 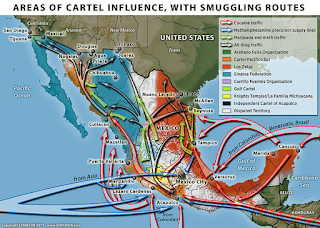 Authorities attributed the killings to battles between the Jalisco and Sinaloa drug cartels for control of trafficking routes. 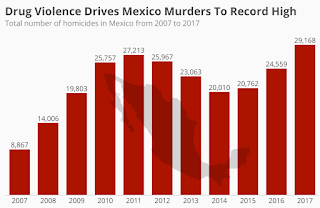 With a homicide rate for the first six months equivalent to 71 murders per 100,000, the state is now Mexico’s second most violent. 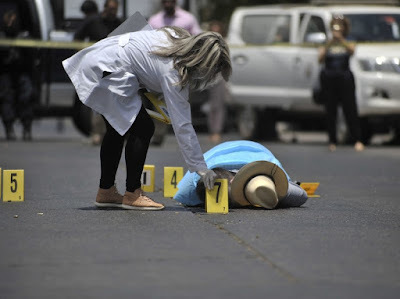 Mexico’s most dangerous state is Colima, on the Pacific coast, with a homicide rate of about 80 per 100,000. The Jalisco cartel is also active there. By comparison, Honduras and El Salvador, two of the deadliest countries in the world, have homicide rates of about 60 per 100,000. 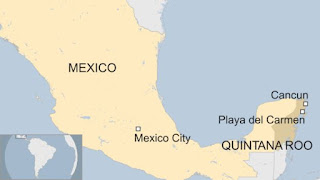 Quintana Roo, home to resorts like Cancún, Tulum and Cozumel, saw homicides rise by 132%. The state accounts for almost half of Mexico’s national tourism income. 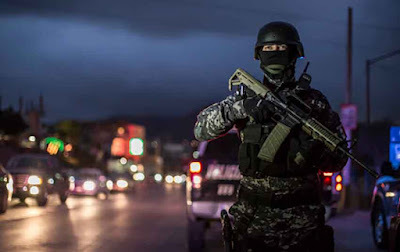 Killings dropped in Baja California Sur, home to the resorts of La Paz and Los Cabos after a massive increase in police presence. Extra police and troops were sent in after warring drug gangs brought international attention in 2017. In historically violent states such as Guerrero, which is a main growing area for opium poppies, numbers have dropped. Farmers in Guerrero say prices for opium paste have dropped to unprofitable levels because drug cartels are substituting it for far cheaper fentanyl.